If you want to give your sweetheart the traditional bouquet of red roses that everyone else in the office will receive this Valentine’s Day, then go for it. If you’d prefer a gift that will” remember you” for years to come, an alternative is one of these houseplants with showy blooms and/or fabulous foliage. 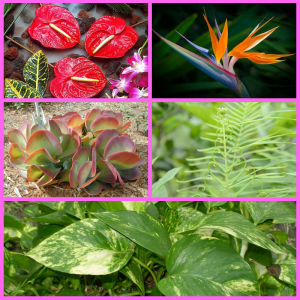 Here are ten plant suggestions for Valentine’s Day gifts to suit various preferences and personalities. 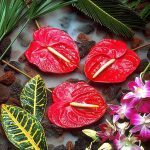 Anthuriums – not all anthuriums are created equal: Anthurium andreanum, known as the oilcloth flower or tail flower, is more significant but much harder to keep happy in the average home than the accommodating Anthurium scherzerianum. The latter needs average room temperatures, high humidity, and continuously moist soil. 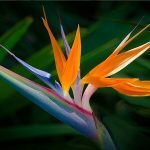 Bird-of-Paradise – Strelitzia reginae, is a showstopper with bright orange and purple flowers that border on spiky. This houseplant has the advantage of being an indoor, then outdoor plant. In summer it can go for a holiday in the garden or on the patio, adding an exotic edge wherever it goes. In winter give it lots of light and a cool room in winter. 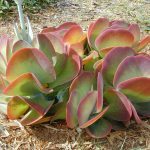 Flapjacks – Kalanchoe thyrsiflora, is a succulent that leads the unabated trend for unusual indoor plants. It needs a sunny desk or sill to encourage its bold, red-tinged, paddle-like leaves. The more sun it gets, the redder the leaves become! Look for the cultivar ‘Hot Lips’ for an extra-fiery display. 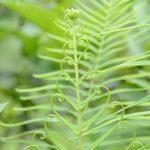 Heart Fern – Hemionitis arifolia, is for the Valentine who enjoys fishbowls and terrariums. Present this fancy fern in an apothecary jar and, presto, you are the flavor of the month! Fern-atics prize this dwarf plant for its glossy heart-shaped leaves supported by thin black stems. Although it doesn’t quite match the delta maidenhair fern (Adiantum raddianum) in the diva stakes, it is hard to maintain the kind of humidity this plant needs outside a terrarium setting, but it does grow well in a steamy bathroom. 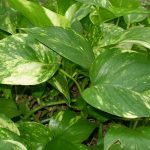 Heartleaf Philodendron – has big and bold heart-shaped leaves. A large specimen cre available growing up a mossy pole. This fast-growing plant needs misting regularly, so you might include a mister to your gift presentation. 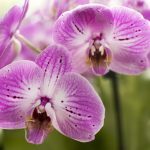 Moth Orchids – Phalaenopsis can bloom up to six months at a time, making them far better value than a bouquet of soon-dead roses. They are undemanding, just water occasionally and place out of direct sunlight. Soft water or rainwater helps but isn’t essential. book front row seats at the cinema to watch the latest horror flick. 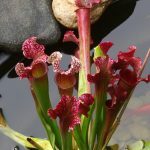 Bloody Mary is a compact pitcher plant with cute scarlet pitchers. Give it rainwater and sunlight, and it watch it catch a few flies along the way. String of Hearts – Ceropegia linearis, was among the top of desired houseplants for 2018, and enthusiasm for this strange trailing plant continues to thrive. That can make it a bit tricky to find, but if you can lay hands on a specimen, it’s a thoughtful choice that will set any houseplant enthusiast’s heart racing. 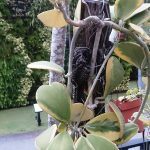 Despite the delicate appearance of its silver – engraved heart-shaped leaves held up by wire-thin stems, this is a tough plant that thrives in many spots of every home. 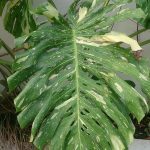 Variegated Monstera – If Instagram is any indication, this is a must-have houseplant. 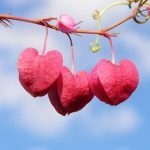 If your Valentine is crazy for plants, your ability to source one of these as a Valentine’s Day gift will surely seal your reputation as a partner who will go the extra mile. Until next week, I’ll be helping customers choose the perfect Valentine’s Day gifts here at Watters Garden Center. Watters Garden Center is a locally owned and operated garden center that specializes in providing avid gardeners and novices alike with the expertise and products to get things growing in the mountains of Arizona.